Chou Wen-chung was born in Chefoo in July 1923. As a young man he prepared for a career as an engineer, taking an undergraduate degree in that field while still living in China. 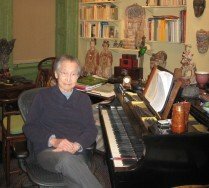 He moved to New Haven, CT, in 1946 to enroll in the architecture school of Yale University, but he tired of his studies after a year or two and was soon spending nearly all of his time building musical skills under the tutelage of the well-known Nicholas Slonimsky. Chou also received the benefit of Edgard Varèse’s teaching (later becoming musical executor of Varèse’s estate), and eventually took a master’s degree in composition from Columbia University (1954). Post-graduate studies included research on Chinese music and serving as Columbia’s Electronic Music Laboratory’s first technical assistant. 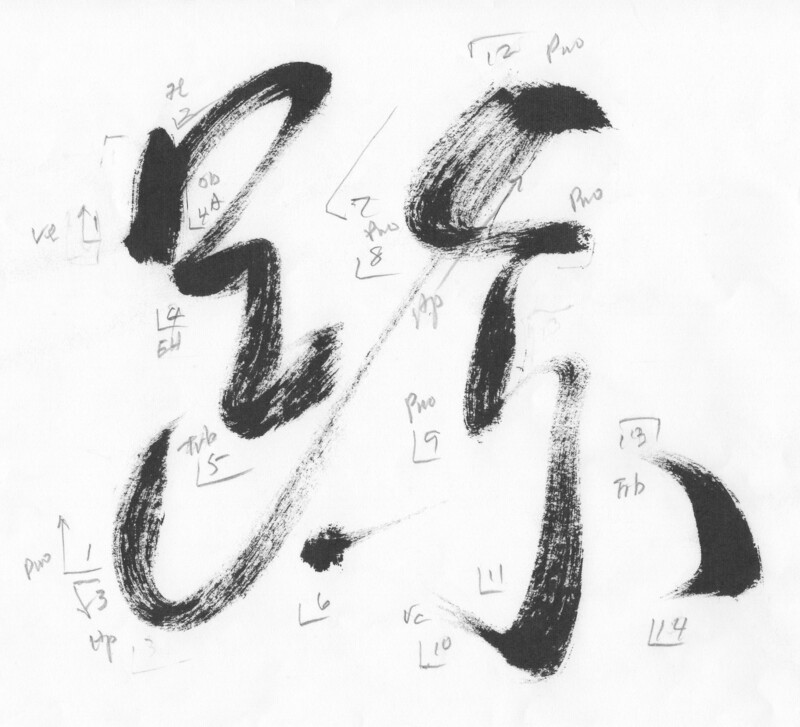 From 1964 on, Chou taught at Columbia University, serving also in the administration of the University’s School of Arts. He has long been as energetic an organizer as he is a composer and teacher, and he has lent this energy to several notable American organizations, including a stint as president of CRI, Inc., founding the Fritz Reiner Center for Contemporary Music, and founding and directing the Center for U.S.-China Arts Exchange. “I’m sending the sketches so you can get some idea of the interaction and balance of instrumental sonorities and registral contrast as well as entrances in a general sense. To me this is important because the music is inspired by the flow of ink within each stroke and in the interaction of different strokes at the same time. Therefore, as you can see, I’m unhappy with only one brass sonority. I think in actual performance, sooner or later, a discerning listener will feel the lack of balance therein, even though in terms of register, the loss is small.